Based on the #1-selling Christian album The Story (EMI/WOW), lyricist and Grammy-nominated artist Nichole Nordeman helps readers embrace Gods relentless, loving pursuit of the most weak and sinful among us from the beginning of time. In Love Story, one of Christian musics most distinguished singer-songwriters brings to the printed page her proven gift for mining the gritty soil of everyday experience  this time in the lives of key Bible characters. The lyrics for the album she penned won a Dove Award; in her book she builds from there by sharing her own life struggles, inspiring us to take the hand of the One who walks with us from beginning to end. 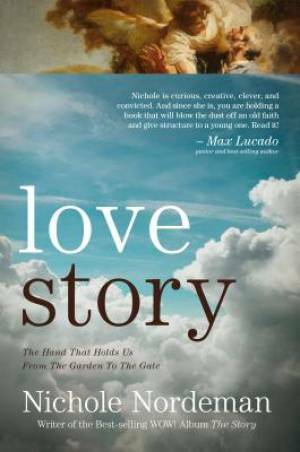 Love Story Paperback Book by Nordeman, Nichole was published by Worthy Publishing in September 2014 and is our 40092nd best seller. The ISBN for Love Story Paperback Book is 9781617953743. Be the first to review Love Story Paperback Book! Got a question? No problem! Just click here to ask us about Love Story Paperback Book.